Kaperoni - My Prediction Is Now April Or Later. Sorry ! AH GO TAKE A NAP-ERONI ! DV Fantasy Football / NFL Pool / ?? Rumored. RV in Iraq now. 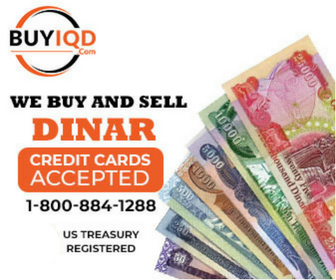 Rate 1 IQD equal USD 1.87 in country. Tourism and Antiquities is considering the implementation of tourism projects in the marshes include gliders and Tervka aerobically	07/09/2013 09:35 The Ministry of Tourism and Antiquities it is considering the implementation of tourism projects in the area of ​​the marshes in Maysan province. The marshlands in Iraq, one of the most prominent sectors wet at the level of the globe, as one of the most important centers of biodiversity in the world because they contain these areas of Pajuluggi richness full of various types of aquatic and terrestrial plant diversity and rare birds. The general director of aggregates tourism ministry Mahmoud al-Zubaidi: that through Astqraúna to the reality of the marshes and the importance of this site to be an investment in tourism we used to study since this matter and provide all the supplies for the implementation of complexes tourist and afford the marshes and the data fit with the reality tourism in the marshes and will have a future and in the establishment of this promising tourist resorts because of carry data such as water, fish and birds and Albeiot all that succeeds where the tourist operation. And: So we think that there will be tourist resorts and houses floating on the waters of the marshes and the city of games within this space, as well as events in paragliding tourism and there are preliminary approval from the Ministry of Interior that these aircraft in these areas and there are other ideas such as the establishment [Tervk antenna] etc. . The Director General of aggregates tourism that what ails the marshes of the lack of services will not hinder projects and our ministry because it will be consistent with the environmental situation of the marshes even houses floating will be of reeds and fit with the development of the marshes as the projects will give the area an aesthetic more when chime and consistent with the environment marshes. The Ministry of Environment expressed fears of displacement of the population of the marshes in Maysan province to environmental hazards in their areas. The Director-General in the Ministry Raji Naima singer told [where]: we are Ankhva concern over the presence of more than limit the environmental of these areas and we have fear of displacement of families remaining in the marshes current situation which is not encouraging for the return of the population to those areas and our demand of ministries providing services to encourage families who were displaced To return because the marshes now is livable and very harsh life for its residents. The singer pointed out that there are problems and environmental challenges related to the inhabitants of the marshes Some villages lack potable water and electricity and there are areas containing military shells, cluster, and now the ministry embarked technical survey lift mines in coordination with specialized companies to raise these mines. The Ministry of Environment launched on June 16 of the last national strategy to protect the environment of Iraq and the executive work plan for the period 2013 - 2017, revealing where the most important plans that aspires to be implemented in the field of environment. The strategy includes the National Environmental Protection as announced by the Ministry of Environment: mechanisms of action and the establishment of nature reserves in different environments Iraq to maintain biodiversity and biological and protect it from pollution or the extinction of some kinds of causing disruption in the natural balance of the environment after years of neglect and the accompanying policies poured in its entirety loss of Iraq, many types of wealth of animal and plant, particularly the years after the popular uprising and the accompanying processes drying of the marshes and scraping for many agricultural areas that were containing varieties unique to Iraq without the other countries, which has become a threat to the future of many organisms in the Iraqi environment. Missan oil tends to raise production capacities	07/09/2013 06:57 Director General predicted Maysan Oil Company Ali Qubool Bahadli achieve an actual increase in the company's production of crude oil after the completion of a number of drilling oil wells in several fields, pointing out that the company was able to overcome the barrier of 250 thousand barrels per day over the past month. He said in a telephone interview with the (morning) that the drilling efforts in Maysan fields are made through local efforts is the expertise of the company's engineers and technicians have been trained both inside and outside the country in addition to the efforts of companies that won licenses in the fields of tours Halfaya, Bazerkan and some other fields. Bahadli pointed out that local expertise is rapidly evolving and will be able to manage most of the joints of the oil industry in the coming years, and this is the goal of the company and aspire bringing our expertise to the global implementation and administration of our oil fields. He pointed to the completion of the connecting two wells in the field Halfayah a total capacity of up to 4900 barrels per day, noting that the company Bohai contracting with the company's President (Petrojayna) Chinese conducting field development Halfaya under contracts licensing rounds, recently completed linking the well M119 production capacity of 4,000 barrels daily within the reservoir and the well N210 supervisor capacity of 900 barrels per day within the Fertile configuration, to the production system. He said that the development processes in the field in question are rapidly rising as the number of the total number of wells completed drilled in the field Halfayah alone since the introduction of a licensing 39 wells and reclamation of 9 wells outdated. Considered Halfayah field of large fields belonging to the Maysan Oil Company with an estimated oil reserves of the field by about 16 billion barrels featuring 8 unexplored reservoirs, were the first wells drilled by the year 1976. He said the Iraqi Drilling Company commenced drilling Well No. (20) in the field of Abu west-east province of Maysan under a contract with the operator of President of the field., Said Director General of Maysan Oil Company Ali Qubool Bahadli that the cadres of the Iraqi Drilling Company started drilling the well (AG 20) According to the contract with the operator of the President of the field, the Chinese company CNOOC, which operates in the fields of development processes Abu west, Bazerkan and loose change. He added that the assignment of drilling operations for the Iraqi Drilling Company by CNOOC art is a testament to Iraqi companies become so trusted by the international companies. Parliamentary debates on Iraq's accession to the New York Convention to encourage investment	07/09/2013 06:19 After rid Iraq of Chapter VII restrictions is looking forward to entering into the realm of the global economy, especially with the growing international desires seeking to double the volume of trade exchange with Iraq, and that what called االى the thinking in the country's accession to the New York Convention to encourage investment. Members of the Economic Committee in the House of Representatives varied views on Iraq's accession to the New York Convention, while counting some of it, "a good step" in order to preserve the rights of Iraqis and local investors in disputes International, had others some reservations, which stressed the need to be studied and clarified before making a decision final. And encourages NYC air investment of the member states where, they represent a point of arbitration between the investment companies and between countries working in it if they have a dispute between the parties. Decision of the Economic Commission Mahma Khalil stressed the importance of Iraq's accession to the New York Convention of International Arbitration in order to maintain the rights of Iraqis and investors local in international disputes. He said Khalil that his committee held a hearing Astmaih with the participation of representatives of the American Chamber of Commerce and the presence of other members of the United Nations, as well as the presence of judges from different disciplines to learn the importance of this agreement, especially with the increasing desires International seeking to double the volume of trade exchange with Iraq. The MP said in a statement »Center Brief for the Iraqi Media Network»: that many countries have benefited from this agreement, indicating that the interests of Iraq today require join them, especially since the time is right after his release from Chapter VII, and the increasing desire of investors and companies to work in Iraq. He noted that the advantages of joining this agreement is greater than the drawbacks, ruling out at the same time that there is objection by the political blocs them., In turn, noted member of the Economic Commission Abdel-Salam al-Maliki conservatively government to accede to this Convention despite the transformation of the economic system in the country , to the open market, which depends mainly on the role of the private sector and investment companies, domestic and foreign. And said Maliki in a statement »Center Brief for the Iraqi Media Network», that the General Secretariat of the Council of Ministers asked to wait in the subject to join this agreement because of the unresolved issue of Iraqi funds, and the issue of lifting the immunity it, where saw it will be exposed to more suits counterfeit, or issue the provisions of some of the parties to control the money. pointed deputy to the State Council did not support the accession to this Convention, to his conviction possibility attached to harm the money of Iraq, launched from its forecast in the possibility that the cause of this Agreement damage matters of arbitration issued on matters of trade and finance, adding More than 149 countries officially Anzmt to the Convention. For his part, member of the Economic Committee expressed Amer Al-Fayez astonishment of sending this Agreement by the government to the House of Representatives without sending international treaty. Al-Fayez said in a statement «Center Brief for the Iraqi Media Network»: The Economic Commission had not seen this Convention. And between the MP that his committee had called on the government in the event of sending any of the laws to the parliament for ratification, to attach the text of the treaty with him, pointing out that this is one of the reasons for the delay in approving a number of laws, wondering about how to vote on the treaty without the knowledge of the original agreement, especially The House of Representatives has no right to put any note them as Notes International. noted that the New York Convention since its conclusion in 1958 received recognition many countries Arbitral Awards and implementation of the various countries of the world, where the Convention encourages air investment of the member states where they represent a point of arbitration between the investment companies and among its workforce States if you have a dispute between the parties. Someone 'negged' you Possum .... I tried to even you out but already used my plus on ya! Can someone even Mr. Possum out for me?